Over the better part of the last decade, CEP has worked with Learning for Action (LFA) to regularly survey both CEP’s broad philanthropic stakeholders and users of CEP’s assessment and advisory services to learn more about our impact and how our audience perceives us. This input is crucial to CEP’s continued learning and improvement, and we take what we hear seriously. At the end of May, we received the most recent set of results from these surveys, with responses from about 300 funders. 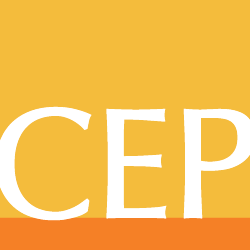 The 2018 survey seeks to understand funders’ perceptions across a number of dimensions of CEP’s work, engagement with and use of CEP’s research, and experiences as users of CEP’s assessment and advisory services. This year, in light of CEP’s ongoing strategic planning process, we also asked LFA to help us explore additional perceptions of what makes CEP distinctive, and we asked funders what information they need but do not have as they seek to be increasingly effective in their own work. CEP is committed to transparency and candid feedback in service of ongoing improvement, and it’s in that spirit that we publish the full set of results on our website. So what did we hear and how are we using this valuable feedback? Finally, specifically related to our assessment and advisory services engagements, our team has already prioritized a number of specific improvement areas to focus on. These include: connecting users of CEP assessments to relevant research and best practices to help them make change, exploring where we can offer even more flexibility to users in CEP’s online reporting system, and trying new practices to ensure that when we present findings to users over the phone, those presentations are experienced as positively as in-person ones. We are grateful for this feedback and the several hundred funders who took the time to provide it. We’re also grateful to the LFA team that has patiently helped us collect and understand this feedback. We’re stronger and better when we listen, learn, and ultimately act on this important feedback. Naomi Orensten is director, research, at CEP. She is supporting CEP’s strategic planning efforts. Previous Post Beyond the Ban: Working in and with American Muslim Communities Next Post Donors, are you asking the right questions?